Vaccinations have revolutionised control of infectious disease in our pets. It is essential that all pets are adequately vaccinated to help protect the pet population as a whole. Responsible pet care requires kittens to be given their initial course of vaccinations, but this cannot protect them for the rest of their lives. Adult cats require regular vaccination to maintain immunity against disease. Initial vaccination programs should provide at least two vaccinations 3-4 weeks apart against some or all of the following; feline panleucopenia, calicivirus, rhinotracheitis and Chlamydia and at or after 8 weeks of age. Three vaccinations, 4 weeks apart, against Feline Immunodeficiency Virus (FIV) are recommended at or after 8 weeks of age. About one third of infected cats remain chronically infected and may shed virus in their saliva, tears, nasal secretions and urine. 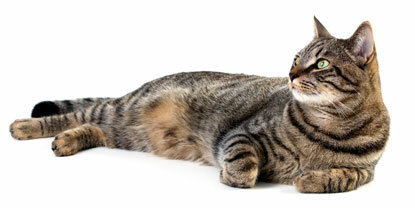 The disease is then spread to uninfected cats by mutual grooming, fighting, sneezing or even flea bites. We do not currently vaccinate against FeLV at MVC as the incidence of this disease in Australia is very low.